Disney is knocking out some remakes to their beloved classics as of recently and it seems that they are enlisting the help of some great indie filmmakers to take the reigns of their future tentpole films and revamps. The latest being the remake of ‘Pete’s Dragon‘, which originally came out in 1977 and mixed live action with animation. It was a big hit for the studio and became universally loves by children of the 70s and 80s. Cut to present day, and we have Disney making a decent size budget live-action remake of the film with state-of-the-art visual effects and A-List talent behind the film. Not to mention a great indie filmmaker from the DFW area named David Lowery (Ain’t Them Body Saints), to co-write and direct this remake. Lowery took a big Disney character and story and grounded it very well, making it look like a great indie film with a giant dragon. There are no buildings or skyscrapers falling to the ground here, which is very refreshing. The story is straight to the point and never goes off on tangents. In fact, the film has about and 80 minute run time, so there is no time for anything else other than the story at hand, which is one of the complaints I have for ‘Pete’s Dragon‘. Here you have the likes of Bryce Dallas Howard, Karl Urban, Wes Bentley, and Robert Redford headlining the cast, but all of them have such little screen time that there is zero character development or transitioning. 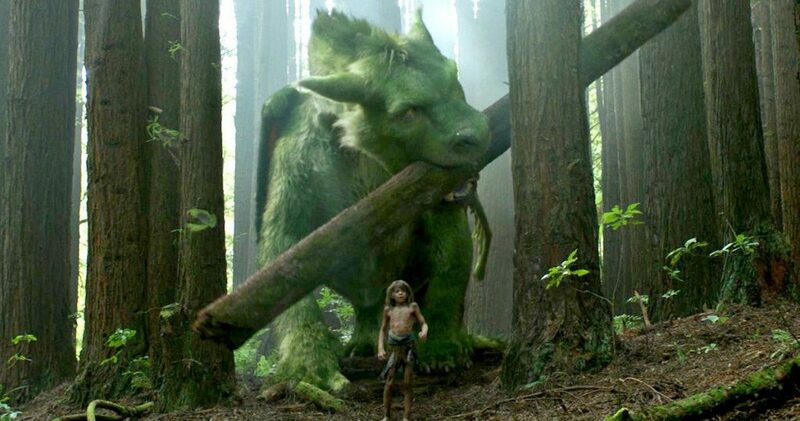 There is really no reason to care for any of the characters besides Pete (Oakes Fegley) and Elliot the dragon, who forge an unlikely relationship after Pete’s parents perish in a car wreck when he’s little in the forest. It’s very much a story similar to ‘E.T.‘, but without all the emotional tones or fun to it. The dragon himself is very cute and is exactly like your favorite big floppy dog when you were growing up. 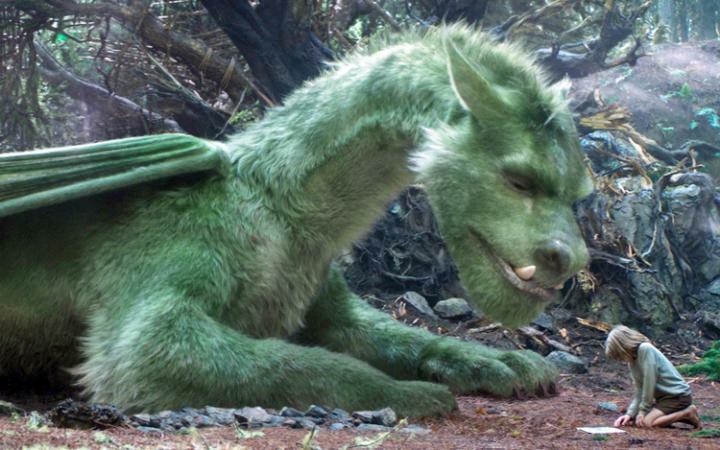 This dragon has green fur instead of scales and big endearing eyes. He plays fetch and chases its own tale. Soon on though, both Elliot and Pete soon realize they can’t live together forever in the forest, and are split up. There’s nothing new here that you haven’t seen before as far as story or filmmaking, but Lowery really captures the small town life and simplicity of the entire story and characters, perhaps to a bigger degree than it should have been. I’m not saying the movie is bad at all, but to doesn’t pack the emotional punch that it was trying to get at, even though there was a ton of sequences I very much enjoyed here, including the usual Disney tropes. I know the younger crowd is going to love it for sure and there is a dose of nostalgia for the older audience as well. You can see why Disney has invested in David Lowery as a director too, since he will be in charge of the ‘Peter Pan‘ revamp next. Film Review: ‘Knight of Cups’! This entry was posted on Friday, August 12th, 2016 at 12:45 pm	and is filed under Film, News. You can follow any responses to this entry through the RSS 2.0 feed. You can skip to the end and leave a response. Pinging is currently not allowed. « Film Review: ‘Florence Foster Jenkins’! !